This article is from a past issue of the magazine. Like stories like this? You’ll see every article as soon as it’s published, and get access to our full digital archive, by subscribing to Classic Motorsports. Subscribe now. Editor’s Note: This story was originally published in 2012. Values, references and vendors listed may not be correct. You can tell at first glance that the Mercedes-Benz 300SL and 190SL are siblings. Built on the same 94.5-inch wheelbase, these two-seater roadsters share beautiful long-hood, short-deck proportions. Their front ends bear an undeniable resemblance to one another, with wide-eyed headlights and grinning grilles forming similarly gleeful faces. Watch both of these cars cross the block at auction, however, and you’ll notice a jaw-dropping difference between the two. When both were new, the 3-liter 300SL cost roughly twice as much as the 2-liter 190SL. Today, that price difference is 10 to 1. The first car has become a million-dollar milestone; the other makes a great investment that doesn’t have to be sheltered from the outside world. The 300SL is a collaboration from four unlikely characters, each a genius in his own field. The story begins with Rudi Uhlenhaut, engineering director of Mercedes-Benz. He created a race car called the 300SL using pieces of the stodgy 300 series sedan: an old-fashioned 3-liter SOHC inline six and a four-speed gearbox. He cleverly wrapped those components in a lightweight, tubular space frame fitted with coil spring suspensions in the front and rear. The resulting chassis was decades ahead of its time. Back then, Ferrari was still using a ladder frame and rigid axles on leaf springs. Clothed in an aerodynamic body hammered out of aluminum, the 1900-pound 300SL won everywhere from Le Mans to La Carrera Panamericana in 1952 and ’53. How did this track car make its way to the street? Enter Maximilian Hoffman. In September 1953, the incomparable “Baron of Park Avenue”—at one time or another, Hoffman served as the American distributor for almost every marque, from Abarth to Zil—lordly guaranteed to buy 1000 units if Mercedes built a street version of the all-conquering 300SL. At war-wrecked Mercedes, an order of a thousand cars was not to be sneezed at. The automaker instructed Uhlenhaut to revamp his race winner for limited production. The 2996cc engine, canted over 45 degrees and fitted with a dry sump lubrication system to fit under the low hood, received Bosch mechanical fuel injection, making the 300SL the first gasoline fuel-injected production car in the world. 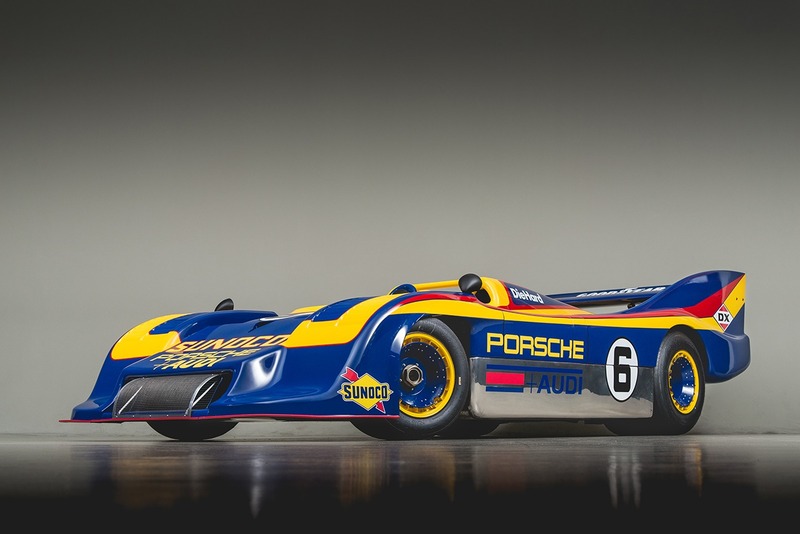 Otherwise, the chassis and running gear were almost identical to that of the all-conquering race car. This is where the third collaborator comes in. Karl Wilfert, brilliant director of Mercedes-Benz styling, was responsible for creating an aerodynamic body for the production car. It bore resemblance to the 300SL racer, but incorporated lights, bumpers and all those other bits that street machines need. Finally, there’s Mercedes stylist Friedrich Geiger, who was in charge of the project. The 300SL is not a car of great delicacy, but Geiger’s design is one of the all-time best nonetheless—forceful without being brutal, clean but not barren, possessed of character and poise. The production body was built in steel, with an aluminum hood, trunk and doors. Geiger, in perhaps his most significant design decision for the car, used unique gullwing doors similar to those on the racer to clear Uhlenhaut’s space frame. The production 300SL weighed 3000 pounds, half a ton more than the track car, but it could still travel from zero to 60 mph in just over 8 seconds, zero to 100 mph in 21 seconds, and the quarter-mile in 16 seconds at 90 mph. Top speed, depending on gearing, was a little more than 160 mph. Those figures may not seem earth-shattering today, but in 1954 and from just 3 liters, they were the stuff of which dreams were made. In deference to Max Hoffman, whose idea it was to make street 300SLs in the first place, Mercedes introduced the car at the New York Auto Show in February 1954. It was priced at an astronomical $6820—at the time, a brand-new Corvette started at less than $2800. The 300SL continued to grow even more expensive, and reached $8905 by 1957. Compared to today’s values, however, that was still a bargain investment. Grand as it is, the 300SL Gullwing was always a compromise. Uhlenhaut was a racer, and the Gullwing was really a race car quickly converted for the street. It was hard to get into, then hot and stuffy once you were inside. Mercedes-Benz sold 1400 copies during its four-year run, 80 percent of them in America. For 1957, the factory told Uhlenhaut to come up with a more civilized car: a 300SL convertible with conventional doors, a folding top, and roll-up windows. The now-famous low-pivot swing axle derived from the one on the Mercedes W196 Grand Prix racer replaced the coupe’s less sophisticated high-pivot rear suspension. The rest of the chassis and styling remained essentially unchanged. The roadster came out more refined, more luxurious and more elegant, but also more expensive. It cost $11,099 with a soft top and $11,573 with a removable hardtop. It didn’t ask the occupants to make as many sacrifices, however. Between 1957 and 1963, Mercedes sold 1858 copies of their 300SL roadster. Buyers, as expected, were wealthy enthusiasts like the Aga Khan, King Constantine of Greece, Clark Gable and Tony Curtis. 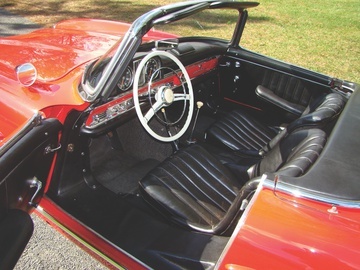 By 1962, the roadsters came with four-wheel disc brakes and an all-aluminum engine; realistically, however, the upgrades made little difference in the driving experience. Any number of small features changed from year to year on what are, after all, hand-built cars produced at the rate of one per day. Still, the model’s essential goodness remained throughout its lifespan. While the 300SL's racing prestige helps the car draw huge bids at auction, too much street use—let alone track use—can cause an example to lose value. The 190SL seems smaller and more delicate, but the two cars are actually built on the same 94.5-inch wheelbase. By 1953, the concept of building a sports car based on running gear from a small production sedan had already spawned such diverse machines as the Austin-Healey, MG TD, Porsche 356 and Triumph TR2. At the same meeting in September 1953 that led to the streetable 300SL, Max Hoffman suggested that Mercedes also build a small sports car. He wanted the prototype to show alongside the 300SL at the New York Auto Show—just five months away. The basis for this new, small Mercedes-Benz sports car would come from the 180 sedan. It debuted in July 1953 as the brand’s first fresh postwar design. Every other Mercedes was still a warmed-over prewar car. The assignment for the new, diminutive car first fell to engineer Fritz Nallinger, who started by cutting 10 inches from the wheelbase of the 180 unibody. Coincidentally, he ended up with the same 94.5-inch wheelbase of the 300SL. The 190SL's sedan origins are easy to discover under the hood, but Mercedes quality is present throughout the car. Now he needed an engine. Enter the brand’s new 1.9-liter, 120-horsepower inline four fitted with an aluminum, single-overhead-cam head fed by twin Solex 44s. Happily, Nallinger could also use the independent front suspension and innovative “single-pivot” independent rear suspension from the new sedans. Stylist Walter Hacker got the rush assignment to draw the 190SL, and was told to deliberately use details similar to those on the 300SL. Imagine having his job: You’ve got just a couple months to create a whole new car on a whole new chassis, using design motifs that Friedrich Geiger is simultaneously inventing for the 300SL. Unlike Geiger’s cost-is-no-object 300SL, however, the 190SL had to be affordable. Hacker succeeded beautifully. The 190SL was obviously related to the 300SL, yet distinguished—petite but even prettier. It was May 1955 before the 190SL went into production, priced at half of what a 300SL cost. It featured just about the same performance as a contemporary Triumph TR2, but offered roll-up windows, a big trunk, a real heater and build quality that was unmatched by any British marque except perhaps Rolls-Royce. So what if it cost 60 percent more than a Triumph? A Porsche 356 or Alfa Romeo Giulietta cost nearly as much as the Mercedes, but without comparable luxury and reliability. The 190SL had two problems from the very beginning, though. First, it was almost completely overshadowed by the 300SL. It was a Pippa Middleton scenario: She may be cuter, but her big sister will still become the queen of England. Second, the 190SL was seriously overweight. A contemporary Alfa Giulietta, Porsche 356 or Triumph TR2 all checked in at less than 2000 pounds. The new Benz weighed over 2500 pounds—even more with the optional hardtop or in coupe form. The extra weight hampered both acceleration and cornering. A few people tried racing 190SLs with limited success, and aside from 17 rudimentary Rennsport kits, Mercedes offered very little help. Professionals and wealthy amateurs were more interested in racing the 300SL. For impecunious beginners, a less expensive Triumph or MG that came with factory backing made a lot more sense than racing a pricey Mercedes. The 190SL soon got a reputation for being a “boulevard sports car” or, even worse, a “chick car.” Among enthusiasts, that was the kiss of death. On the other hand, Mercedes sold almost 26,000 copies of the 190SL, many of them to high-profile clients like Grace Kelly and Zsa Zsa Gabor. Bottom line: Just as Max Hoffman had hoped, the 190SL relaxed Mercedes’s stuffy image in the U.S. Unless they lived in Beverly Hills or Palm Beach, most Americans never got to see a 300SL in real life. But 190SLs appeared in upper-middle-class neighborhoods across the country, often parked next to a sensible Mercedes Ponton sedan. There's nothing intimidating about the 190SL; it's pretty, pleasant and fun. If you can afford a million-dollar sports car, obviously we recommend you buy a 300SL. It will be a life-defining moment you will never regret. The car is fast, solid and exclusive. It’s welcome at just about any automotive event, too. It’s also the machine that put Mercedes-Benz back in the game. This one would be on any list of the most important cars ever built. However, if you want a graceful, dependable, comfortable, undemanding little car for vintage rallies or car shows, the 190SL has all the style and appeal of a classic Mercedes for less than $100,000. The 300SL will always be the star, but the 190SL attracts a special following. In that sense, nothing has changed in 60 years. While some manufacturers simply let the aftermarket handle parts and service for their older vehicles, Mercedes-Benz provides support for all models, no matter what the vintage. The Mercedes-Benz Classic Center in Irvine, California, offers parts sales and restoration services for their earlier models; they can find you the exact components you need. The Mercedes-Benz Classic Center can be reached toll-free at (866) MB-CLASSIC, and they maintain a pair of online sites: mbusa.com/classic and facebook.com/mbclassiccenter. 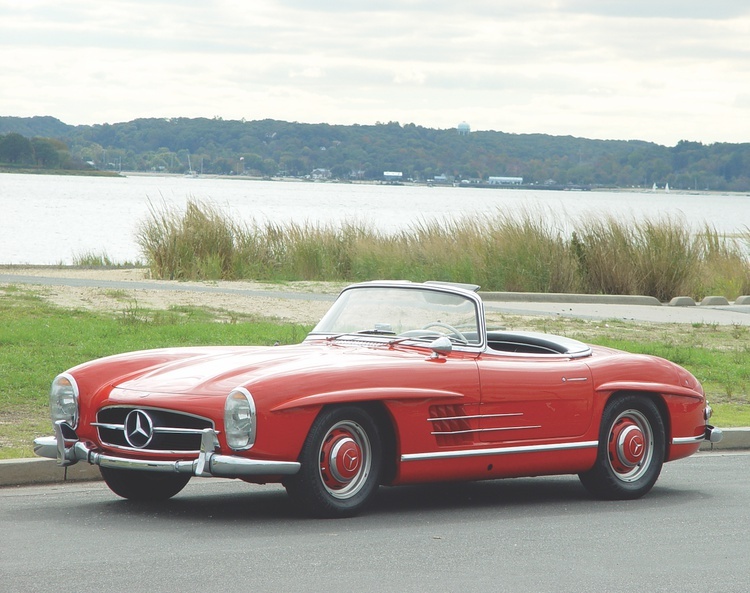 Real estate developer Walter Stackler has owned this pristine Fire Red 1957 Mercedes-Benz 300SL for 16 years, but it was last restored by Paul Russell way back in 1978. There is no higher tribute to a restorer than a car that can still win prizes 35 years after it was redone. What’s the car worth today? Stackler values it at more than $750,000, and that’s in the ballpark of today’s 300SL prices. In the last few years, 300SL roadsters—which are arguably better cars than the iconic 300SL Gullwing coupes—have dramatically increased in value, to the point where roadsters and coupes are now comparably priced. If this roadster got the proper knockoff Rudge wheels and a mild cosmetic refresh, it would be worth close to $1 million. A late-model roadster with an alloy engine and disc brakes, particularly one of the last 26 copies built, is also now worth more than a million. An average midyear car is priced at $700,000 to $750,000. “The easy cars are done,” restorer Paul Russell explains. At this point, any 300SL that still needs restoration probably needs everything. Parts can be expensive, too, and these cars are time-consuming for even a specialist to restore. The going rate is $350,000 to $400,000 for a concours-quality body-off restoration. A complete car that needs the works sells for $350,000 to $400,000. In other words, whether you buy a restored 300SL or one that needs to be restored, you’re still looking at price tag of $700,000 to $1 million. Restoring a 300SL in your home garage is theoretically possible, but many experts say the exercise is pointless. In the end, you’ll have spent just as much if not more money, but your finished car will be worth significantly less. A Paul Russell or Jerry Hjeltness restoration adds not only prestige, but between $50,000 and $100,000 to the value. Be wary of making updates, too, the experts warn. In Europe, there are “restorers” who redo 300SLs while adding late-model running gear, six-speed gearboxes, modern HVAC and oversized disc brakes. Such creations are often tragic, both aesthetically and financially. There’s a strong market for hotrod ’32 Fords and ’57 Chevys. For the 300SL, not so much. Research: There are many books about the Mercedes-Benz 300SL, but the most authoritative is probably “Mercedes-Benz 300SL: Vom Rennsport zur Legende” by Gunter Engelen, Michael Riedner and Hans Dieter Seufert. Fashion model and photographer Martina Gates shopped extensively for 190SLs before she found this 1957 roadster in a classic car showroom on Long Island. While most 190SLs are painted red, ivory, black or silver, Gates wanted something unusual: This one wears Mitt Blau, a special-order color that was exceptionally rare back in the day. Today, it’s obviously even rarer. Gates appropriately named her car Blueberry. 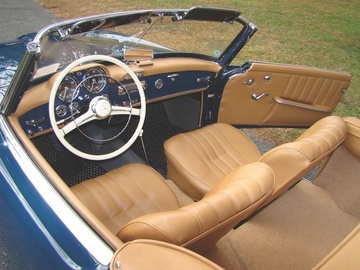 According to 190SL expert Bruce Adams, Blueberry was restored by a 3M engineer named John Jacobson. He then sold the car to the president of the 190SL Group, Tom Hamilton. It won best of show at the 190SL Pinehurst National Meet in 1998, scoring over 490 out of a possible 500 points. Adams “refreshed” the restoration in 2000, after which Hamilton sold the car to billionaire Tom Golisano, founder of Paychex. Gates bought it from Golisano for $85,000 in 2011, which Adams says is about $40,000 less than he would ask in today’s market. There are a few lessons to learn here. One, it pays to shop around. Two, a quality restoration can hold up for decades if it’s properly cared for. Three, 190SL prices are all over the ballpark, but definitely trending up. A quick check in all the usual places turns up 190SLs priced from $13,255 to $145,000, with most clustered in the $35,000-to-$40,000 range. Inexpensive cars almost certainly have issues, however. Adams says a decent car should fetch $70,000 to $80,000, while exceptional cars are in the $120,000-to-$130,000 range—significantly more affordable than restoring a lesser example, he notes. A concours-quality restoration on a decent “all there” car runs $150,000 to $200,000 these days. The high mark for these cars? We know of one newly restored 190SL that sold within the past year for $249,000, but the seller is rumored to have paid $375,000 for the restoration. Like we said, prices for these cars are currently all over the place, and restorations can be very expensive thanks to the price of parts, labor and fixing inevitable rust. Research: There are two recognized 190SL specialists in the United States. Bruce Adams is “Mr. 190SL.” He has specialized in these cars for nearly 40 years, has hundreds of thousands of dollars’ worth of hard-to-find parts, and even wrote the book on the model. 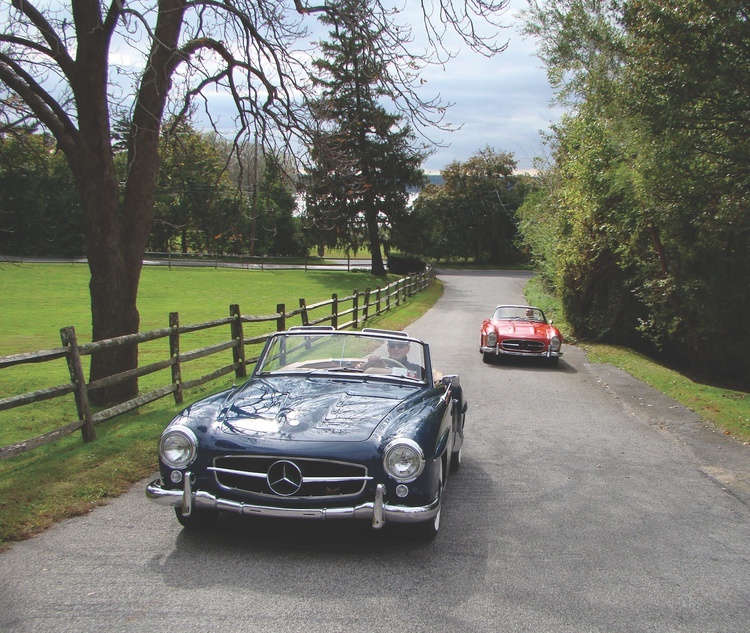 “W121 Coupe and Roadster” is primary source material for any would-be 190SL buyer. It’s available directly from BLAdams, LLC: Reach him at (910) 639-3659 or visit bruceadams190sl.com. 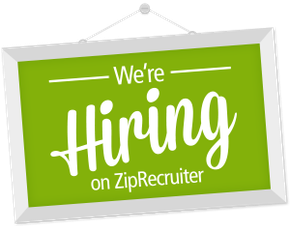 Experts: The other 190SL specialist recommended by all the experts is Bob Platz of Precision Auto Works in Camden, New Jersey: Call (856) 966-0080. 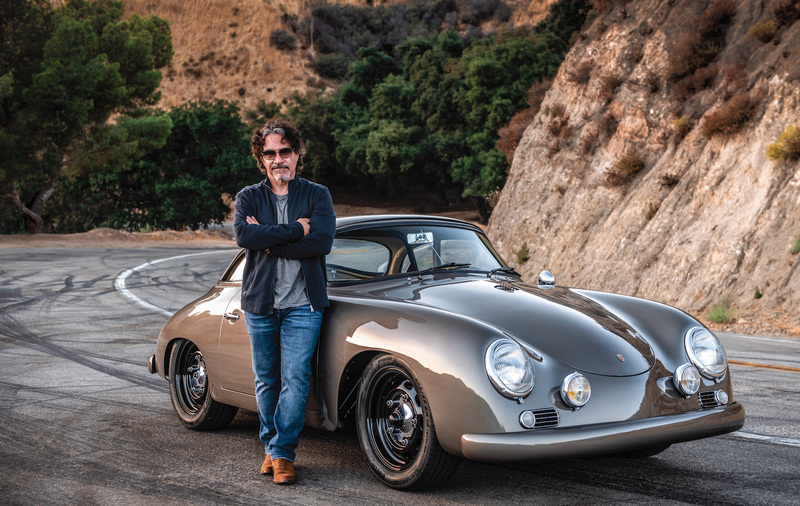 Like Adams, Platz has been restoring these cars for decades, and he still bills significantly less than other restoration firms who aren’t as well respected. For Adams and Platz, restoring 190SLs is a labor of love, not a road to riches.